You have a great idea for a business, and you are ready to get started immediately. But, there are some steps you need to take and the process of a business startup can take a while. It ALWAYS takes twice as long and costs twice as much as you think it will. ALWAYS. So double the time and double the money, and you'll be close. Maybe. The length of time it takes to start a business depends on the type of business, the complexity of the business, and the type of location. If you are starting a home-based business with just one person, no employees, no bank loan, no products (basically just you and a computer), you could probably get started in a month or two. At the other end of the spectrum, a business that manufactures products in a large facility, with lots of employees might take up to a year to get started. 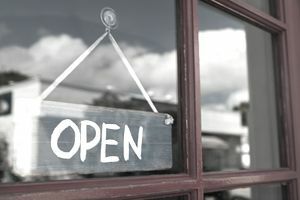 In general, though, if you need a location and can find one that doesn't need too much renovation, you can start a retail business or service business in less than six months. Needing a loan and hiring employees will add some time to the process. Buying an existing business may take a little less time, but not much. Here are some important tasks involved in starting a business and a general guideline for how long they might take, assuming you are not going to be setting up a business selling products or a retail facility outside of your home. Of course, you may be able to shorten the time it takes to start your new business if you can juggle all of the necessary tasks or if you can find business advisors to help you. This business startup timeline doesn't include time to prepare documents, like a business plan and agreements for business legal types, which are important but not directly related to the startup process. One of the most important tasks in starting a new business is to create a business name and domain name. Your business name will be on every document, all advertising and marketing materials, and your business website. Everything you do will be dependent on this name, so take your time and make sure you have the perfect name. If you are going to work from home, you can start immediately. If you need a location, it might take 2-3 months to find and lease a space. If you must do renovations, it could take 6 months or more to occupy the space. Several weeks to a month, depending on whether you must get a variance for a home business or wait for an inspector for permits. About a month, including time to meet with an attorney and decide on the business type and details. You can apply for state business registration before you have a final location, and make that change later. You can apply for an EIN online and receive the ID immediately. Depending on the complexity of your business, this can take several months. You will need a place to put everything, so you must coordinate deliveries with the availability of your business location. This step can take many months, so you will need to start this process many months in advance of your planned startup. First, you must decide on a general area (city or town), then look around to see what is available, checking on zoning, then negotiating for the lease or purchase of the building, and then renovating the building to suit your needs. Of course, this assumes that you don't have to build from scratch, which can take many months. To get a bank loan, you must prepare a business plan which includes detailed financial statements, your marketing plan, and information about your management and operations. Putting together a business plan takes time. For example, you will have to figure out what to buy, how much it will cost, and where to get it. You must prepare income statements and other financial information. Then, you must take the plan from bank to bank to find one that will give you a loan, with or without an​ ​SBA guarantee. If you get lucky and find a great location that doesn't need much work, and if the first bank gives you a loan, you can be up and running quickly. But it usually doesn't happen that way.